Property 7: Semi-attached house in Saint Rémy de Provence. Property 31: Exceptional Villa in Provence - Paradise above the canopy! Villa 8 Pers July August. Private swimming pool in a tourist area. Property 34: Villa 8 Pers July August. Private swimming pool in a tourist area. Property 39: Luxury Villa with pool, garden, petanque court great views in perfect location. Charming Gîte CERISE - With swimming pool, Loriol du Comtat, Vaucluse, Provence. 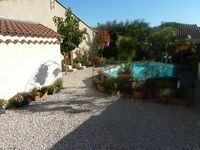 Property 44: Charming Gîte CERISE - With swimming pool, Loriol du Comtat, Vaucluse, Provence.